This week, Chinese e-commerce giant JD.com has officially launched an e-commerce site in Thailand alongside local retail group, Central Group. The new addition is part of JD.com’s efforts to expand its presence in Southeast Asia, where it currently operates an e-commerce site in Indonesia and has invested in Vietnamese business-to-consumer e-commerce operator, Tiki. 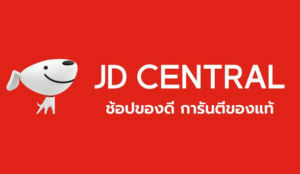 The Thai platform, called ‘JD Central’, had been running in beta since 18 June, offering products across various categories, including electronics, fashion, home appliances, books, processed foods, and cosmetics, said the Chinese vendor. 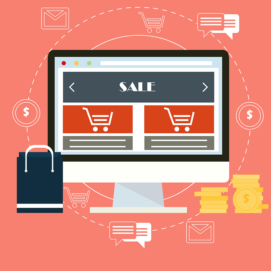 It added that 80% of shoppers accessed the e-commerce platform via smartphones, with FMCG, mobile devices, and fashion amongst the top-selling products. Its inventory included products from Chinese companies such as Huawei, OnePlus, Lenovo, Vipshop, and Xiaomi. JD Central’s warehouses operate on JD.com’s own warehouse management system. The e-commerce operator said there were plans to offer same-day delivery for customers in Thailand’s capital, Bangkok. It added that the Thai website also would offer nationwide delivery through partnerships with local delivery service providers. JD Central’s CEO Vincent Yang said its partnership with Central Group would ensure “100% product authenticity”. Singapore e-payments provider Network for Electronic Transfers (Nets) has unveiled a new mobile app that it says will enable merchants to generate their own QR codes to facilitate payments. Called ‘NetsBiz’, the mobile app was designed specifically to support smaller retailers such as hawkers delivery businesses, and personal services merchants, including handymen, the vendor said. The app allows retailers to generate a Nets QR code on their mobile when they have delivered their goods and services, facilitating payments without the need for invoices, Nets said. The mobile app also will send out notifications to merchants’ mobile phones when QR code transactions have been successfully processed, enabling them to track payments handled by their ground staff. According to Nets, its new app can be downloaded for free on Google Play and Apple Store, and supports Singapore’s recently launched universal QR code platform, SGQR. L’Oréal China has inked a partnership agreement with Alibaba Group’s Tmall to tap customer data insights and identify new opportunities in the local market. The beauty products group will work closely with Tmall Innovation Centre to enhance the consumer-to-business (C2B) model based on data insights and trends extracted from Alibaba’s total customer base of more than 600 million. The two companies’ first collaborative effort will look at China’s male-grooming industry, which they said saw more than 50% annual increase in online product sales in the past two years. Huawei’s retail campaign that targeted Apple iPhone customers has managed to attract much social and media attention, generating 10.56 million views and 336,000 shares. According to the Chinese smartphone maker, the marketing initiative also chalked up USD$343.6m (£262.61m) in estimated PR value, with mentions in 299 articles across 41 countries. The stunt lasted all of 15 minutes, Huawei said. Its head of digital Asia-Pacific and Singapore consumer business group marketing director, Jonathan Ye, said: “Careful considerations were made internally and together with dentsu X. 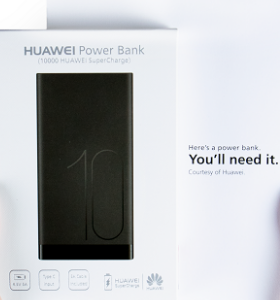 Ultimately, we wanted to elevate the level of awareness among non-Huawei users with a gesture that would resonate well with them, and power banks were the perfect accessory to help them pass time while waiting in the queue.